There’s no more iconic Mercedes-Benz roadster than the SL - the model designation has been used consecutively since the 1950s. There’s no more iconic Mercedes-Benz roadster than the SL - the model designation has been used consecutively since the 1950s. But while the first generation may have been the prettiest and the fourth generation the best built it was the fifth series, unveiled in 2002, that had the broadest spread of talents. A two-seater with a folding metal hard top, the SL was the perfect all-weather sports car and went on to sell accordingly. Unlike previous models this fifth generation SL was never available with a canvas roof; instead it was the first to offer a folding metal hard top. The result was a car that could offer a level of refinement and comfort hereby unseen in the sector. The two-seat configuration meant it even managed to look good too - roof up or down. It’s a premium roadster though, with high prices when new, so don’t expect economy and efficiency to rate highly on the list of priorities with the engines. In fact there’s only a handful to choose from, all petrol-powered - the 3.7-litre V6, 5.0-litre V8 and even a 5.5-litre V12 badged SL 350, 500 and 600 respectively. The latter is particularly rare on the used market though, and later SL 350s downsized to a 3.5-litre V6. Those looking for even more performance have the option of the AMG-powered models, with either a supercharged 5.4-litre V8 in the earlier SL 55 AMG or a 6.2-litre V8 in the later SL 63 AMG. More often seen on the used market are the regular SLs sporting AMG wheels and styling additions inside and out. All engines came with an automatic gearbox only, the early cars using a slick and smooth-shifting five-speed unit and the later models an even more flexible seven-speed transmission. 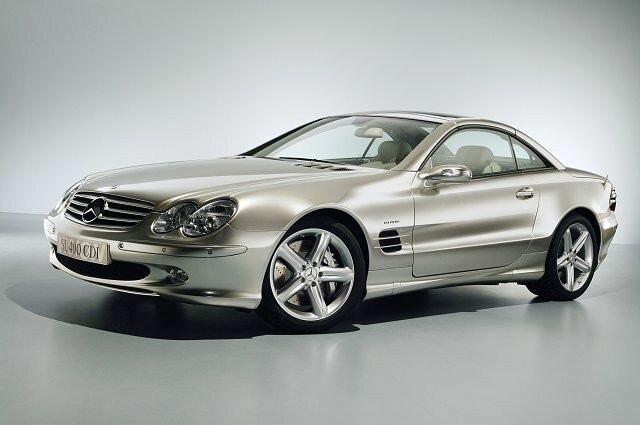 The SL 500 is probably the most typical model, but that didn’t stop the most efficient and economical version taking a lead in the sales charts. The entry-level SL 350 won’t leave you wishing for more performance, even if it is lacking a V8 burble, thanks to a sub-seven second 0-100km/h time. Don’t be put off by high mileages, as long as the service schedule has been adhered to. All are well-equipped and it’s worth noting the SL suits metallic colours best, especially silver. In theory roadsters aren’t really suited to our climate, but with its folding metal roof the Mercedes SL really is a convertible for all four seasons. Neatly designed with a comfortable interior, the range of engines and performance on offer makes it a truly impressive package. Add to that the firm’s famed reliability record and the SL’s peerless (and largely classless) image and its competitors don’t stand a chance.